Some decades ago, several studies advanced an unexpected answer to an age-old question: schools do not help students improve their social positions (see for example Coleman et al., 1966). This shocked the educational community. If schools were already breeding student subcultures that could cut adolescents off from adult society (Coleman, 1961), then what positive effects were they having? Responses soon abounded. Scholars found that schools did actually make a difference for social mobility and learning social skills, and that some aspects of school environments – such as school culture and student connectedness and attitudes – mattered in particular (Reynolds et al., 2014; Thapa, Cohen, Guffey & Higgins-D’Alessandro, 2013). Interest in these factors only strengthened as concerns about school violence and bullying grew. These factors point to one fundamental idea: relationships in schools matter. Relationships don’t just give rise to connectedness and many aspects of school culture – they can also influence students’ attitudes (Brechwald & Prinstein, 2011), and are necessarily involved in conflicts and social skills training. It follows that sets of relationships in schools, or school social environments, are of paramount importance. However, surprisingly little is known about how educational policies and practices affect them. Instead, scholars often examine how policies affect related outcomes, neglecting the power of relationships in mediating these outcomes. Thankfully, tools exist that are ideally suited for studying relationships and school social environments: those of social network analysis (SNA). Crucially, with SNA not only can you measure individual relationships, you can also understand how they come together to shape properties of social environments. Thus, you can understand patterns in negative relationships in schools, or whether policies tend to promote relationships that foster desired outcomes. You can also study another important aspect of social transformation: whether school practices affect students’ social standing with their peers or other people. My research addresses these issues, both in schools and music programmes (Sarazin, 2017, 2018). Among other questions, it asks: How do educational practices impact on school social environments? And, Can school-based music programmes foster social cohesion and enable students to improve their social positions in their schools? Using SNA, it finds that school practices can produce distinctive patterns in student friendships and dislikes, and can even foster simultaneous concentrations of both relationships. It also reveals that the power of in-school music programmes to give students the resources to improve their social standing can be powerfully shaped by existing policies and processes in schools. SNA can do far more than the above, however. Scholars have used it to study cross-community integration (Blaylock, Hughes, Wölfer & Donnelly, 2018), understand peer-based pedagogies (Dingyloudi & Strijbos, 2018), and even design interventions to reduce school conflict (Paluck, Shepherd & Aronow, 2016). Anything that connects two entities (such as persons or institutions), or is sent from one entity to another, can be investigated using SNA. Social networks, therefore, have a great deal of potential for brokering understandings of school social environments and social transformation. Coleman, J. S. (1961). The adolescent society : The social life of the teenager and its impact on education. Free Press, New York. Coleman, J. S., Campbell, E. Q., Hobson, C. J., McPartland, J., Mood, A. M., Weinfeld, F. D. & York, R. L. (1966). Equality of Educational Opportunity. US Government Printing Office, Washington, D.C.
Sarazin, M. (2018). Schooling for social transformation? A mixed methods social network case study of a school and its collective music education programme (DPhil Thesis). University of Oxford, Oxford, UK. Thapa, A., Cohen, J., Guffey, S., Higgins-D’Alessandro, A. (2013). A review of school climate research. Review of Educational Research, 83, 357–385. If you could measure one type of relationship among all people in a school of your choice, what relationship would that be, and what would you do with that information? Which relationships should schools try to measure to understand what drives their students’ academic and social outcomes? What practices and policies are likely to promote the relationships we want in schools? 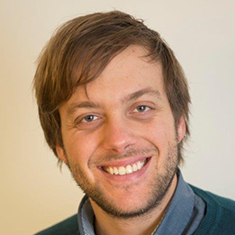 Marc Sarazin has just completed a DPhil (PhD) at the University of Oxford’s Department of Education, and is now a postdoctoral researcher at the University of Louvain (UCLouvain, Belgium). His research interests concern relationships in schools, music programmes and other social environments; educational labour markets; and applying social network theories and methods in education. Aside from his research, he has taught and worked with children and young people in England, France, the Czech Republic and Thailand.